Two rides, one festival. If you enjoy bicycling, what could be better? 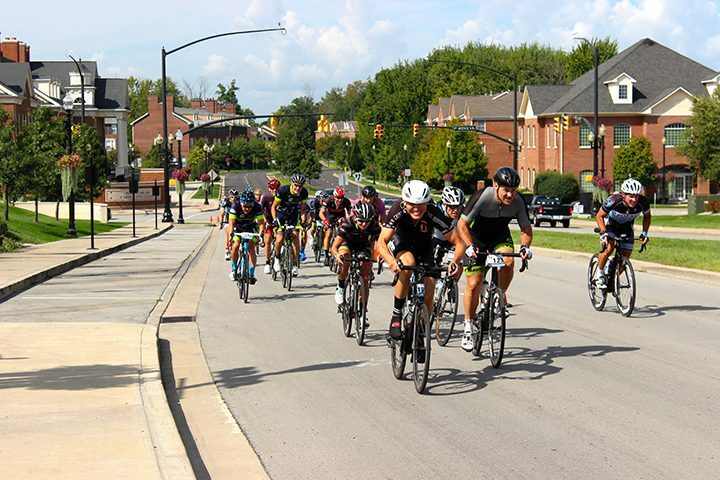 On Sept. 17, Carmel Clay Parks & Recreation and Rollfast will present the Tour de Carmel and Rollfast Gran Fondo, two separate bicycling events for riders of all skill levels. The 13th annual Tour de Carmel is an 8-mile family oriented ride. The fifth annual Gran Fondo caters to experienced cyclists with distance options of 25, 65 or 100 miles. Both rides begin and end at Carmel City Center, 724 South Range Line Rd. The Tour de Carmel starts at 10 a.m. The Gran Fondo begins at 8 a.m. At the conclusion of both events, participants can enjoy the Gran Fondo Festival at City Center. Festival offerings include live music, food and beer and wine for purchase. Gran Fondo riders receive a free lunch and a post-ride meal and beer. The Gran Fondo is an international event that draws riders from across the U.S. as well as Canada, England and Puerto Rico. Because of the offering of a 100-mile ride, Rollfast owner Matt Tanner expects up to 500 riders for the Gran Fondo. Rollfast is a cycling brand that promotes cycling events. By contrast, the Tour de Carmel is a leisurely, family oriented ride along low-traffic streets, including a portion of the Monon Trail. The last two events were rained out, but previous Tours have attracted up to 1,200 riders. “We want Carmel to be a nationally known bike town,” Tanner said. For more or to register for the Tour de Carmel, visit TourDeCarmel.com. For more or to register for the Gran Fondo, visit RollfastFondo.com. The entry fee for the Tour de Carmel is $20. Cost for the Gran Fondo is $99.